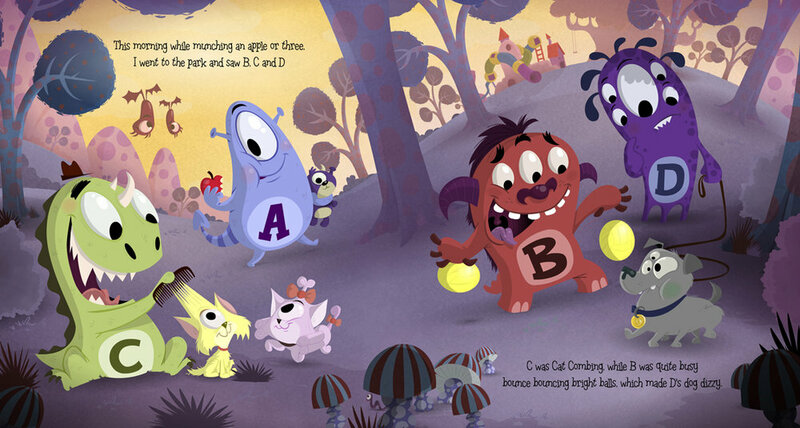 Alpha Monsters was published in April 2011 and was my first venture into writing and illustrating children's books. 'It's an island,' A said, 'in an uncharted sea, And the monsters who live here have letters like me.' 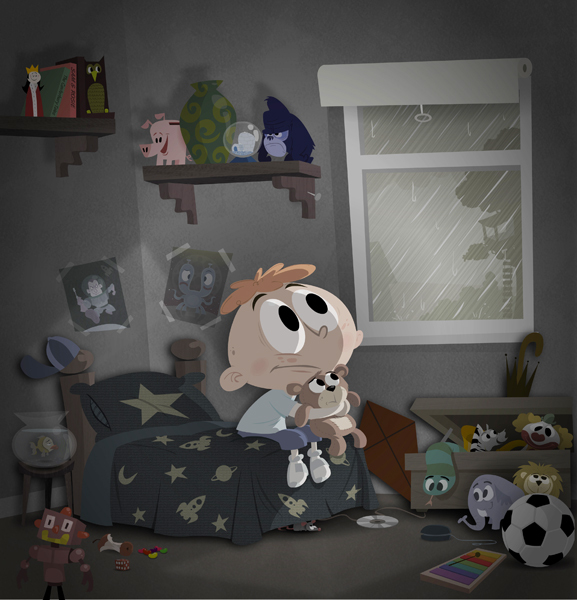 'Well that's how we'll find your lost toy,' Freddy said. 'We'll start off with you and go right through to Z.' 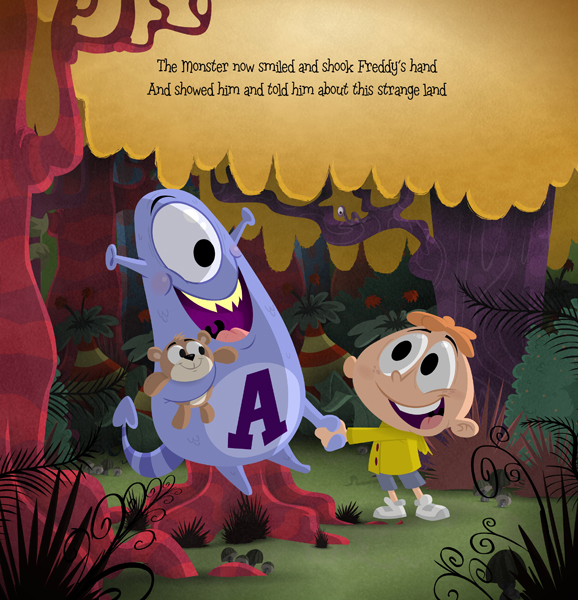 Journey with Freddy to an amazing world filled with alphabet monsters, and see if he can help monster A find his lost teddy before dinnertime! 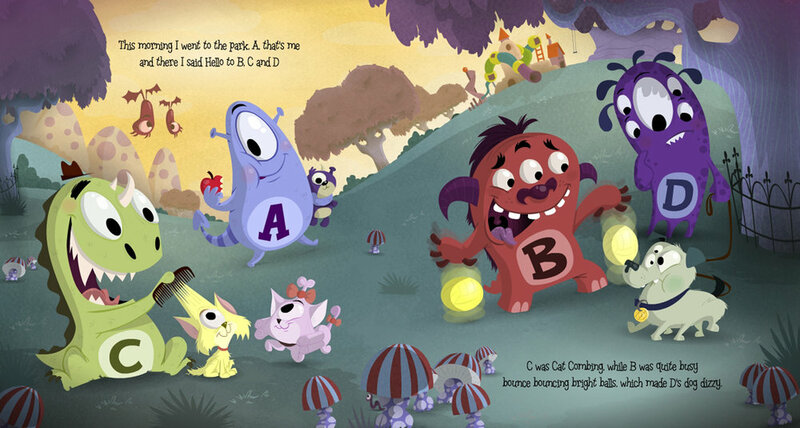 The rhyming text and bright, cartoon style illustrations make this book a fun and entertaining experience for all the family. 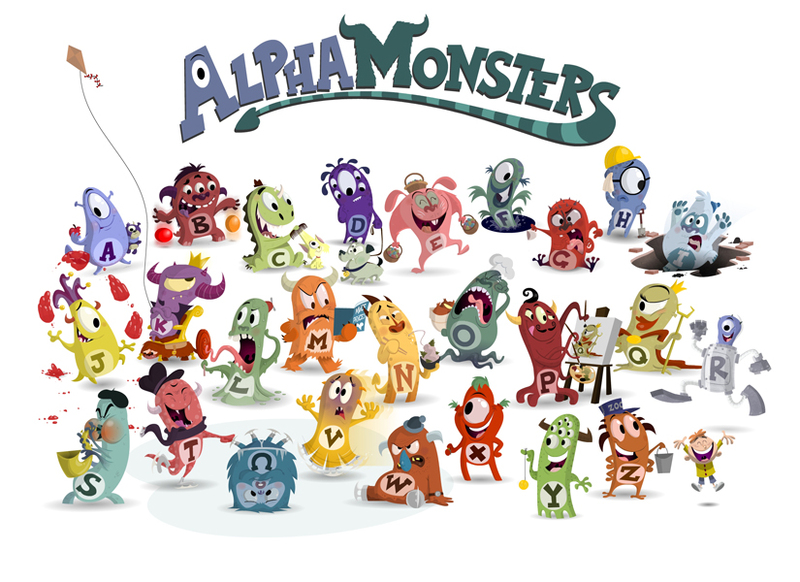 The concept for Alpha Monsters began as a personal project I put together for my son to help with his Alphabet skills. After some positive feed back from friends and family, I decided to contact Scholastic Australia with the concept. After several months I received an email from an editor at Scholastic who wanted to take the idea further. All books go through several iterations and this, being my first, was no exception. Below you can see some of the experimentation that I went through, as well as how I managed to overlook basic things like "Alphabetical order". Oh the irony! 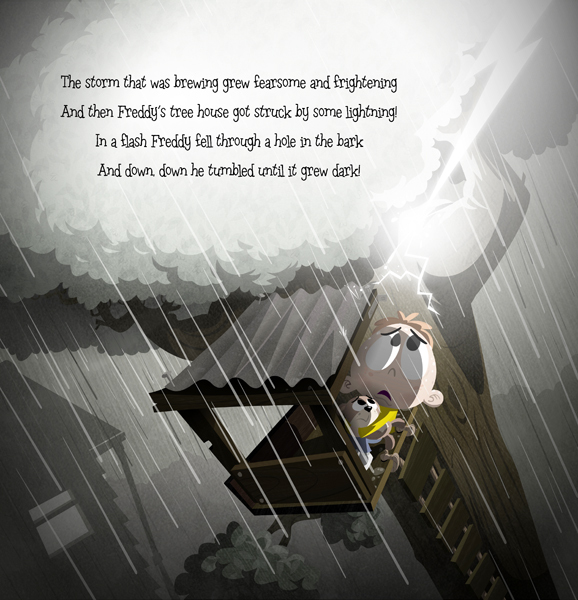 In 2012 the book was featured in the story time segment of Channel 10's Wurrawhy. Where is was read by a puppet cat and a man dressed as a personified computer mouse.